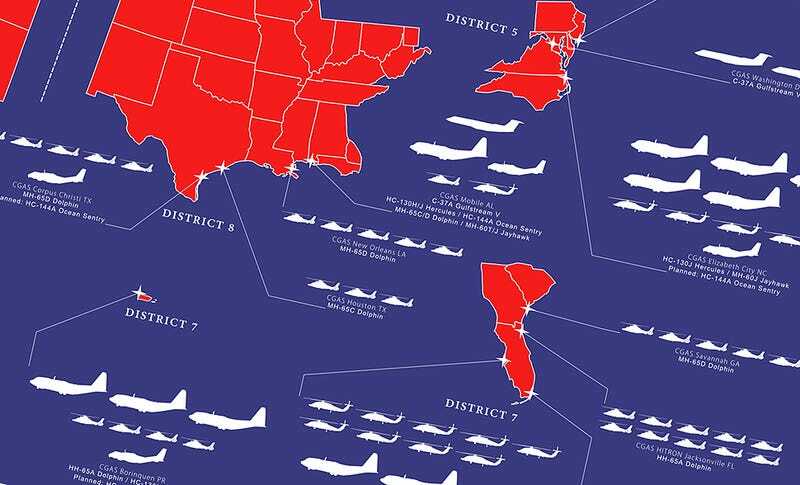 If you want to quantify the fleet size and see all the different bases where the U.S. Coast Guard’s aircraft operate from, this graphic is your awesome go-to guide. This in another great composite graphic by Contemporary Issues and Geography that offers a good overview of the makeup of America’s air arms. They recently released a U.S. Navy version, a USMC version, and let’s hope that a USAF and U.S. Army one is coming soon!